Our range of products include continuous duty industrial vacuum cleaner, industrial hepa vacuum cleaners and explosion proof industrial vacuum cleaners. Cleantek manufacturing industrial grade Heavy duty Industrial continous running vacuum cleaners for floor and Machines cleaning applications. 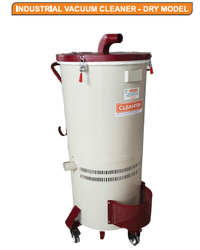 Cleantek design and manufacturing Industrial grade vacuum cleaner with HEPA filters suitable for Clean room applications. Perfect for food industry, printing, textiles, heavy clean-up, etc. Star Shaped Main Filter for more filtration Area. Manual Filter Shaker system for Filter cleaning. Upstream filter HEPA cartridge for fine dust collection. Filter chamber and recovery tank made of stainless steel 304 or 316L . 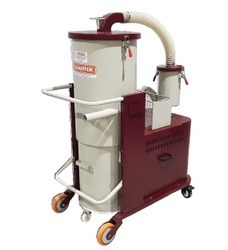 CLEANTEK offers a complete line of Legally Certified Explosion Proof / Dust Ignition Proof Industrial Vacuum Cleaners for use in Division 1 Hazardous Locations. Our product line includes single & three phase electrically operated models and pneumatic (air-operated) models. CLEANTEK can help you to choose the right vacuum cleaner for your application.